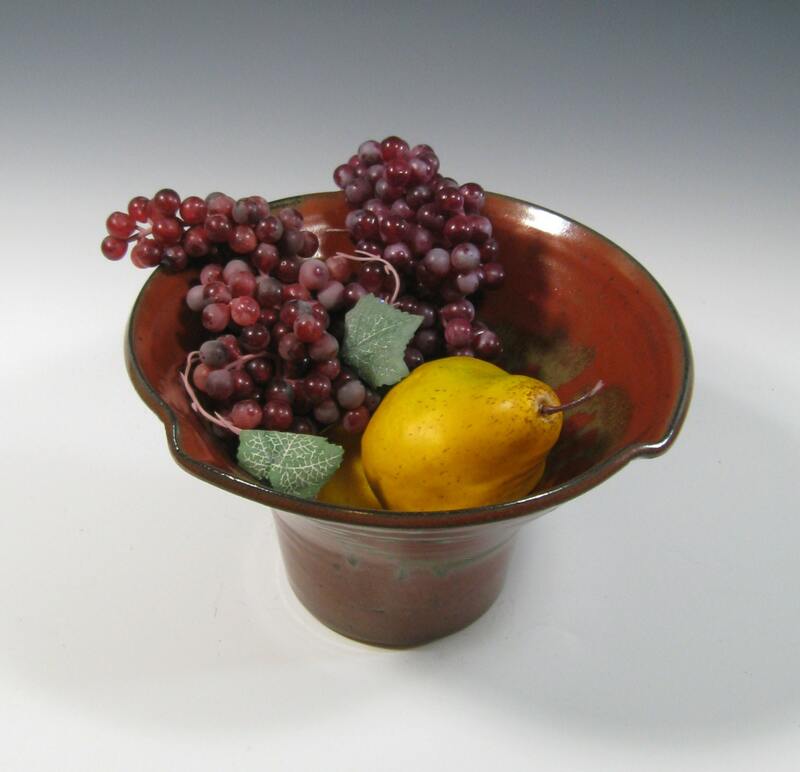 This large decorative ceramic bowl will make a striking accent piece when used for an ikebana arrangement, fruit bowl centerpiece or a simple tabletop serving bowl. 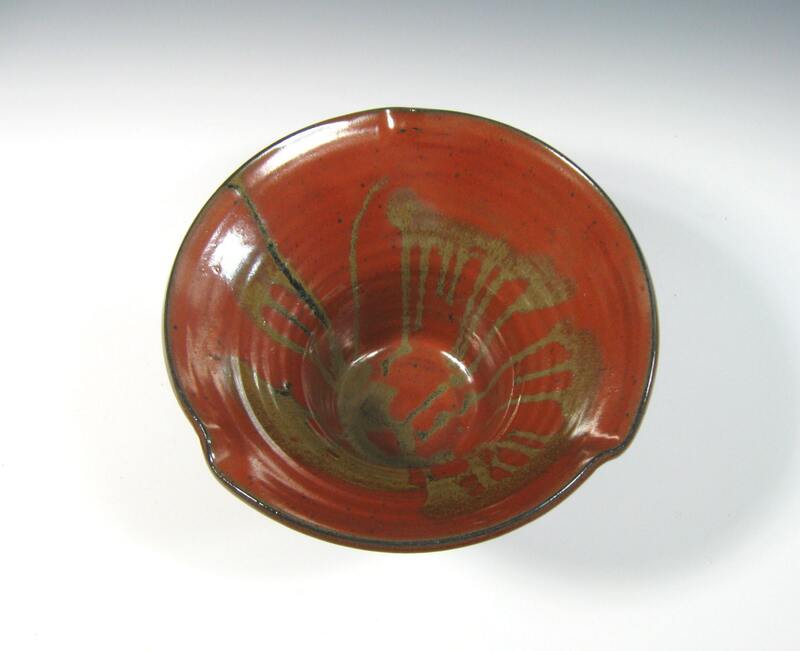 This bowl is 5.5 inches tall and almost 9 inches in diameter. 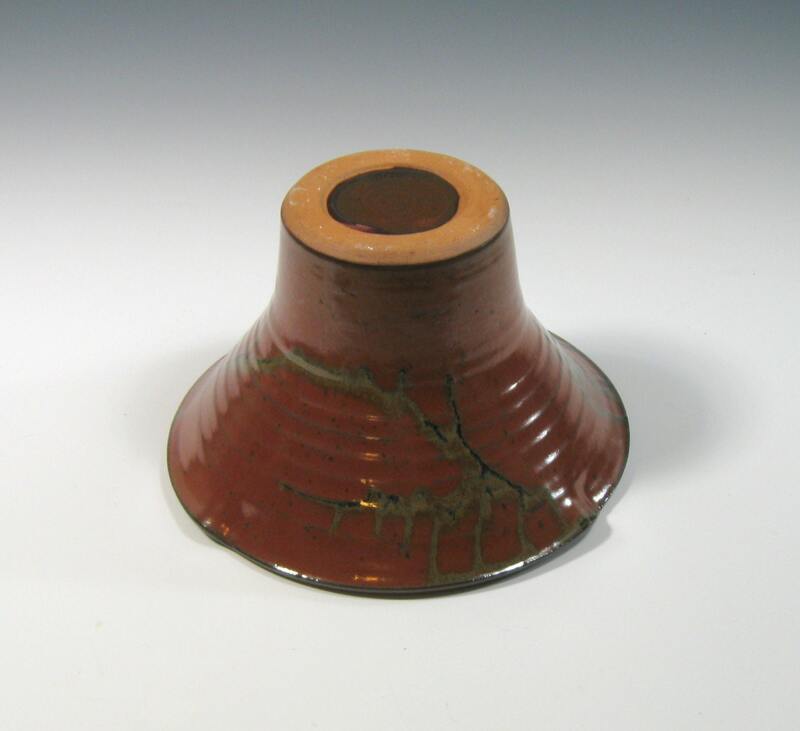 I made it on the potter's wheel and fired it in an electric kiln. 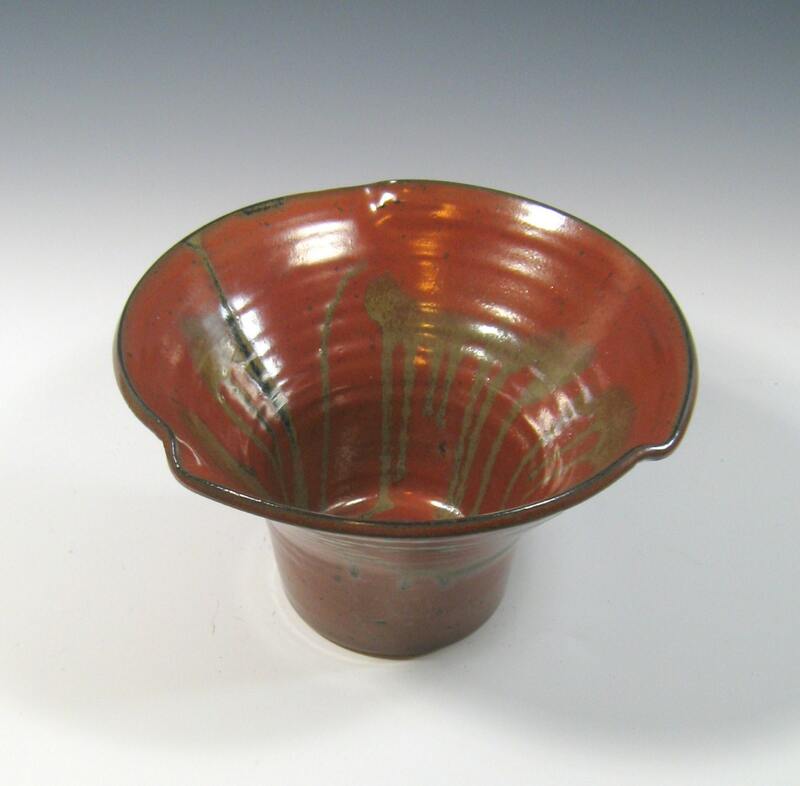 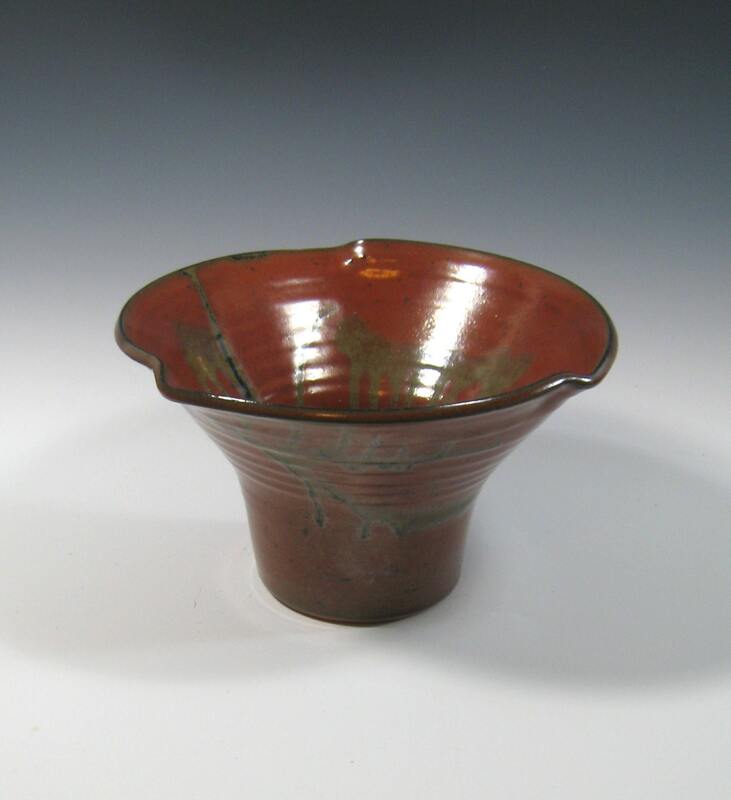 The gorgeous iron red glaze will complement any home decor.